Partners of IBD Connection, Inc.
Erik Waelchli is Founder and President of the IBD Connection, Inc., (2007) an industrial advisory firm located in the Mid-West of the United States that provides international business development, management and engineering support services for the metal-forming or metal-processing industry. Erik gained his knowledge and experience during a focused career dedicated to engineering, factory automation, machine-tool manufacturing, and tool & die manufacturing. 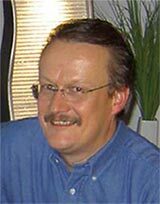 Erik holds a MBA from The University of Notre Dame (1997), a Bachelor in Mechanical Engineering from the College of Engineering, HTL Brugg-Windisch in Switzerland (1978) and is a certified tool-maker (1975). He served as an officer in the Swiss Army at the rank of Lieutenant-Captain of Material Logistics. Erik is fluent in German, Swiss-German, English and verbal French. His tenure at Hess Industries, Inc., an International Machine Tool Builder and Tool & Die Manufacturer in Niles-Michigan, started in 1982, when he joined the small 35-people company as young Project Engineer and led international wheel-manufacturing projects from concept design to successful commissioning in the US, Canada, Korea and Taiwan. By 2000 he was Vice President of Operations and directed the, now, 250-employee business unit with complete business execution responsibility for all engineering functions, material acquisition, machining, assembly and testing, site installation, and customer acceptance. Erik, as a key figure in the senior management team was involved in all strategic planning and decision making. As operations manager and engineering manager Erik was always heavily involved in marketing and sales of the company’s products. His technical expertise secured multi-million dollar wheel-manufacturing accounts with customers in Europe Asia and South America. He delivered wheel-technology symposiums and training sessions in Switzerland, Germany, France, Russia, Brazil, Taiwan, and Korea. He also acted as co-director for a successful EU sales & service-office launch, initiated European outsourcing, identified strategic partners, and created long-term European supplier relationships. In 1978 Erik joined George Fischer, Ltd., an International Machine Tool Builder and Iron & Steel Foundry located in Schaffhausen, Switzerland. As Project and R&D Engineer at the Central Laboratory, during this time of emerging robotics, he led international robotics and automation projects in Austria, Germany and Switzerland. In 1975 Erik successfully completed a Tool and Die Maker Apprenticeship at Werkzeugbau Leu & Cie., a Tool & Die Manufacturer located in Murgenthal, Switzerland. Here he learned to build, test and commission single operation and progressive stamping dies and plastic injection molds. During his college breaks he worked as toolmaker in a Norwegian tool & die shop. Linda Waelchli, as a Partner and Vice-President of IBD Connection, Inc., brings knowledge and experience in strategic business planning, inter-personal communication and learning strategies. Linda holds a BA in Psychology (1975), a BS in Marketing (1990) and a MBA (1997), all from Indiana University South Bend. In addition to IBD Connection, Linda owns and operates Business Link, Inc., a business and education consulting firm, addressing the needs of small businesses and the educational needs of persons with learning differences. As an educational consultant, Linda provides educational support and advocacy services, assisting young people and adults in transitional life phases with organizational and learning strategies, educational planning and learning-type analysis. Linda works with other educational experts and service providers to enhance the learning experience of people who want to overcome challenges and excel in both their academic and career environments. Many look back at life changing results, achieved with Linda’s dedicated help. Linda has developed strategic business plans for companies and not-for-profit organizations. For trade associations she managed complete trade show events and for small business owners she organized exhibition participation. For small businesses and service firms she developed administrative procedures and adapted the accounting system for individual project cost analysis allowing the business to focus on profitable business segments and eliminating others. Linda managed several residential properties with up to 400 units, where she analyzed the local rental market and took the properties through strategic remodeling or expansions, to focus on more profitable segments of the market. She managed remodeling and construction projects, while fine-tuning the ongoing office and maintenance activities through the implementation of procedures, personnel hiring and respective training. Linda holds an Indiana Real Estate Broker’s License.